An Opera in one-act. Piano-Vocal Score. BSM0040a. Premiered by the WNO, Domingo-Cafritz Young Artists at the Kennedy Center, January 23-24, 2015. Conductor, Anne Manson. Director, Alan Paul. Washington Post review, by Anne Midgette. DC Metro Theater Arts review, by Jessica Vaughan. For hard copies of the vocal score, please contact us directly. 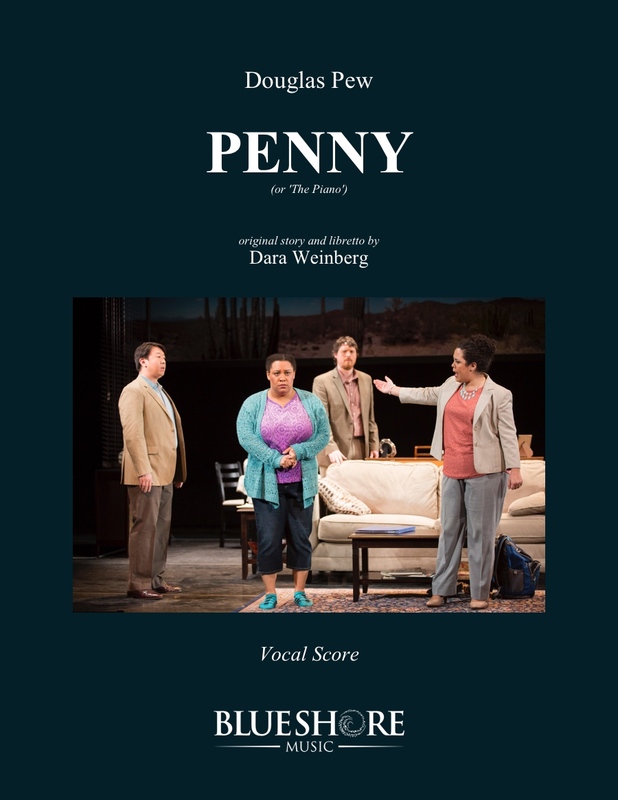 Penny is an opera about the power of music. In the course of this one-hour opera, we see the leading character Penny Rutherford literally and figuratively find her voice. As Penny learns to express herself through singing, she transforms before our eyes and begins to believe in herself. Penny also happens to be a person with autism. As the saying goes, "if you've met one person with autism, you've met one person with autism." Tonight you'll me Penny, who is singular in every way. She does not typify a person with autism, but is one representation of it. At its core, Penny is about discovering who you are—a journey that everyone goes through in their lives. Although this opera has a protagonist with autism, Penny could just as easily be anyone in the world who understands the power of music. As she sings of her fears, regrets, and dreams, you'll see what a unique and compelling leading character she is. 24 years old. Autistic. Musically gifted but untrained. She has never lived independently from her family. Penny’s older sister. A junior high-school English teacher. 29. Katherine’s husband. 31. A music teacher at the same school where Katherine teaches English. Focal dystonia ended his career as a pianist. Social worker. Thirties or fourties. Dead before the opera begins. Penny and Katherine's Uncle. Mid-sixties. pianist and composer, Gary's college roommate. 31.